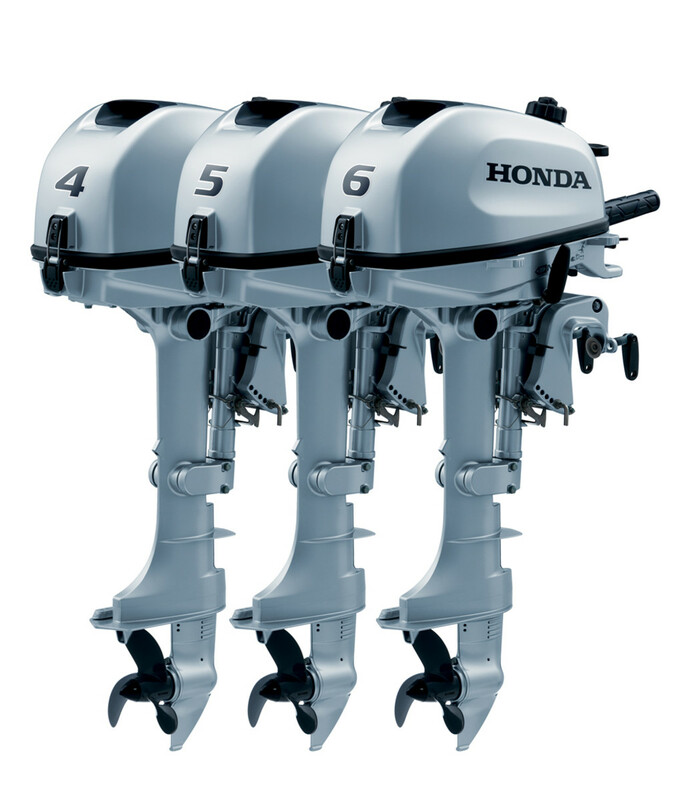 Honda Marine is unveiling new portable four-stroke outboard engines with its BF4 and BF6 models and has redesigned its BF5. Honda Marine will hold a media event next week to introduce its trio of new small engines and give journalists an opportunity to test its fleet of 4-stroke outboards. Honda’s Fall 2016 Experience, “Power and Performance in Play,” will take place at the Legacy Lodge & Conference Center at the Lake Lanier Islands Resort in Buford, Ga., Sunday through Tuesday. Nineteen journalists will attend, including Trade Only executive editor Chris Landry. There will be 33 boats in the water. The Honda engines featured include: BF4, BF6, BF9.9, BF40, BF60, BF65jet, BFP60, BF100, BF115, BF135 twins, BF150, BF225, BF225 twins, BF250iST and BF250 twins. The boats range from about 8 to 25 feet and include inflatables, pontoons, aluminum fishing boats and saltwater center consoles. The majority of the vessels are equipped with single engines, but there are three boats with twins. There also are several boats with the three newcomers. The new and redesigned BF4, BF5 and BF6 engines are easy to start with a new decompression mechanism and easy to stop using a new one-push stop switch, the company said. The engines can run full throttle for 40 minutes with their internal 1.5-liter fuel capacity. They have larger carrying and fold-down tiller handles. New motor mounts cut down on vibration and engine noise. Retail pricing starts at $1,875.